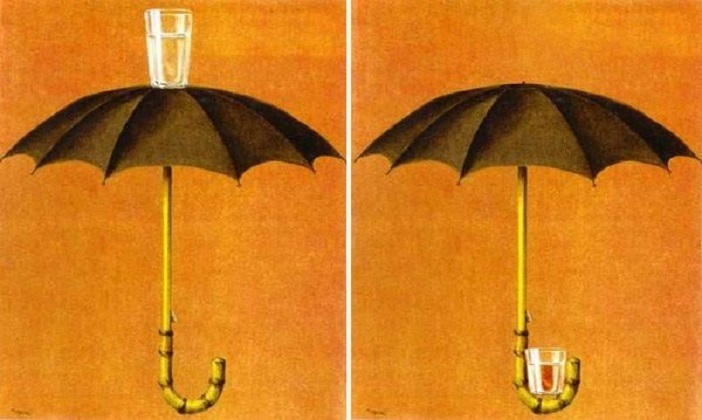 Rene Magritte got this one wrong if you are out and about dramming and it starts to rain. I don’t care if you get wet, just protect that dram of yours. During the course of my work I am often asked what is the correct way to drink my whisky? Should I add water? Is it a sin to add ice? I even got asked once if it would be okay to microwave? Well I’m not going to even try to answer that last one! But the water, ice or not is a great question. I am not a whisky snob and the quick and simple answer is that there is no real right or wrong way, just different ways all depending on tastes. One thing for sure is adding water or diluting certainly changes the taste of our favourite drams, masking some flavours and releasing others. It’s a matter of chemistry. Oily hydrocarbons, that are somewhat soluble in a high proof whisky, get trapped inside “droplets” formed when a whisky is diluted. This then masks the more oily grassy aromas. On the other hand ethanol in high concentrations in water forms clusters. These clusters trap compounds that are more soluble in ethanol than water. If you dilute further or chill say with ice you pop these clusters and different often considered more desirable flavors are released. I often pick up on more fruit and sweet tones after dropping a touch of water. 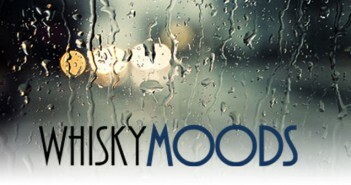 As a matter of course I always try my whisky first time straight whatever it is. Cask strength, barrel proof, standard bottle proof. Then I will always add a touch of water and just see what happens. You quickly find your preferred way of drinking each whisky. Personally I love high proof bourbons on the rocks, the 107 Weller comes to mind here ! I also love drinking cask strength Springbank just straight up the 16 year Old Manzanilla cask probably my current personal favourite.